"On Time, Polite, Clear And Accurate Estimate"
"Great Communication. Polite & Efficient Gentleman." "Got Everything Done Quickly And Correctly, At A Fair Price." 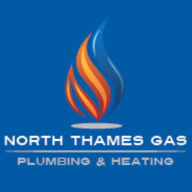 "Very Polite, Fixed The Problem And Explained Everything"
Need a Plumber, Heating Engineer or BG Direct Work in Hemel Hempstead?